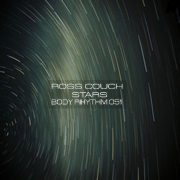 Ross Couch – Stars EP – Body Rhythm 051: Out Today! It’s time for my final release of the year, the ‘Stars EP’ which hit stores today. This one features two main tracks, one that’s deep and atmospheric, and the other which hits the dancefloor harder, along with instrumental versions for each.